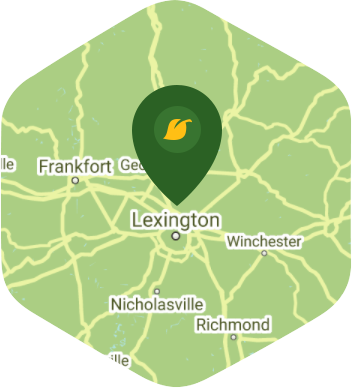 Book a skilled lawn pro in Lexington. Backed by a total satisfaction guarantee and amazing customer support. The city of Lexington, KY is popular because of its thoroughbred race tracks, but there is more to this city than just race horses. It is the home of the University of Kentucky Wildcats basketball team as well as the Arboretum. More importantly, it is the place that you call home and you would not want to live anywhere else. Finding some free time to enjoy Lexington's attractions can be a bit of a problem for you if your garden needs some extra work done on it. If a little yard care is what you're looking for then you don't need to look any further than Lawn Love. We are masters of yard care and have the equipment, crew and the expertise to give your yard the TLC that it deserves. We can do all kinds of yard care chores for an affordable price. The best thing about this is you can schedule, manage, and make changes to your yard care service through our online booking system. This means you can do everything through your phone or computer even when you're on the go. We would love to prove ourselves to you, so give us a shot by requesting a free online quote. You can also call us at 859-687-6328. Great. He was rained out Friday but was back ASAP. Thanks! Lawn pro keeps the yard looking sharp! Everything look wonderful! Thanks for taking care of the trimming and especially the weeds. My favorite Lawn Love visit so far! Thank you! Rated 4.76 / 5 stars in 34 Lexington customer reviews. It looks like the expected precipitation in Lexington is 0.12 inches, which means your lawn got a nice soaking—leave those sprinklers off today. Dusk and dawn are the best times to water your lawn (the sun will rise at 6:49 AM and set at 8:22 PM today in Lexington). Here are some average lawn care prices for homes in Lexington. Average lawn size 3,659 sq. ft.